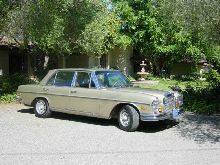 In 1968 Mercedes launched its ultimate saloon model, the 300SEL 6.3. 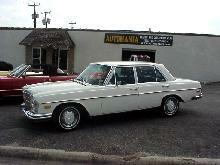 The 300SEL 6.3 was quite simply an amazing car. 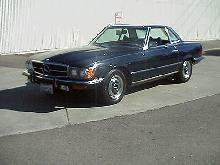 It had the same body shell as the long wheelbase 300SEL 3.5 but used the same 6.3 litre V8 normally reserved for the much heavier 600. 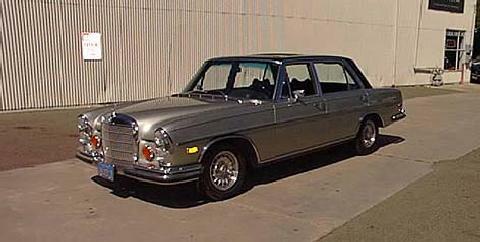 The 300SEL 6.3 looked almost identical to the smaller models which made it an excellent "Q" car for tired pop stars, politicians and business men. 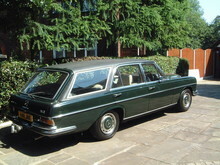 Standard equipment for the 300SEL 6.3 included self-levelling suspension, four wheel discs and power steering. 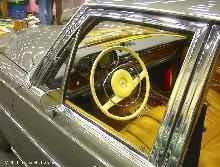 Inside the car was luxuriously trimmed and equipped with power operated windows. 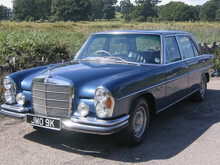 With a near 140mph top speed its nearest rival was the Jaguar XJ12. 9' 4" 4' 10" 4' 10" 16' 4" 5' 11" 0 (34) 0' 0"